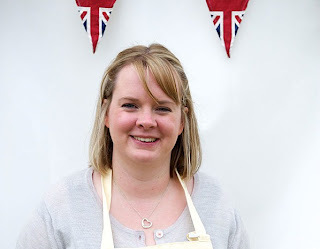 When this series started, I was championing Sarah-Jane to win, she seemed so bubbly and baked the same sort of recipes that I would, but alas, she went about half way through. Sad face. I think I would have struggled, like her, with the eight strand plaited loaf, but unfortunately her beef wellington failed to impress as she didn't listen to Mary's advice, or should I say, look at Mary's face... that kind of gave her feelings away... However I loved the idea of her banana and caramel tarte tatin!! YUM! 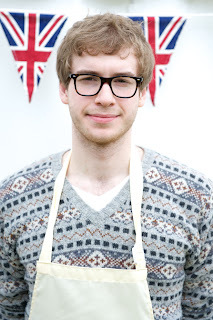 My boyfriend, however, was behind James and his epic glasses and woolly wonders to win. 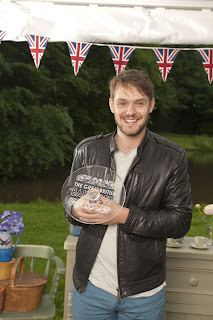 So, as you can imagine, I was a tad gutted that he beat Sarah-Jane, but that he also got to final. 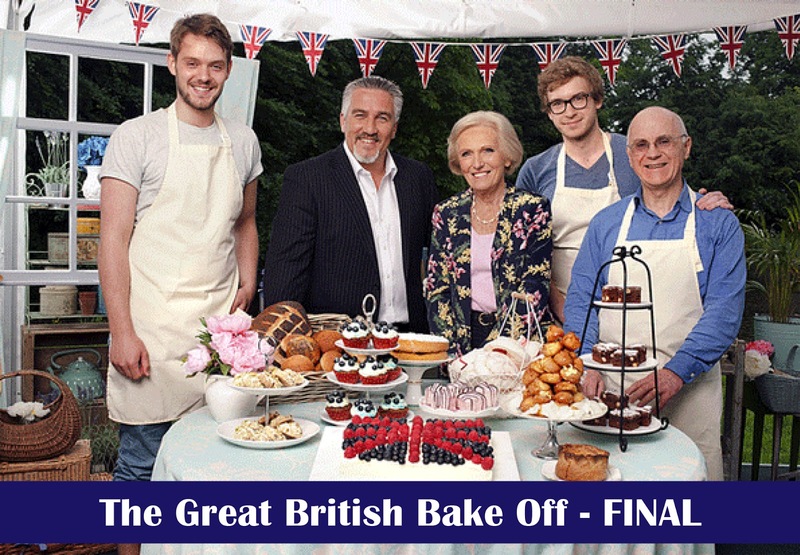 Now when it came to the final I must admit that I swapped teams and thought James was the one who should have won. He was a bit cheeky when it came to his baking and I think his gingerbread house was the epitome of this, but for me he always seemed to pull it off and was pretty much exceptional! In fact, while we are on gingerbread house gate, I may as well talk about the other contestants in this particular round. I believe each of the gingerbread houses really represented each bakers skills to a tee. Both Danny and Cathryn had brilliant ideas and each week surprised themselves with their flavors but usually their finishes weren't the best. 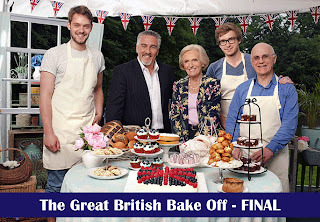 They both created iconic buildings of London, Danny with Big Ben and Cathryn with Buckingham Palace, and I think with a little more time, and a little less stress (aka not being on GBBO) they would have been amazing! However, John's gingerbread Colosseum was absolutely amazing!! It was precisely planed and much more imaginative than Brendan's. Now before I go any further I just want to say that I wasn't Brendan's biggest fan. I wont go on here to slag him off, because you cannot fault his baking talents and I am envious of his knowledge, but to me, Brendan was annoying from the start and his gingerbread house was his worst. He didn't really show off his skills for creating a gingerbread house structure, he instead covered the whole thing in icing and shredded wheat and ended up creating something that was very outdated and rather twee. 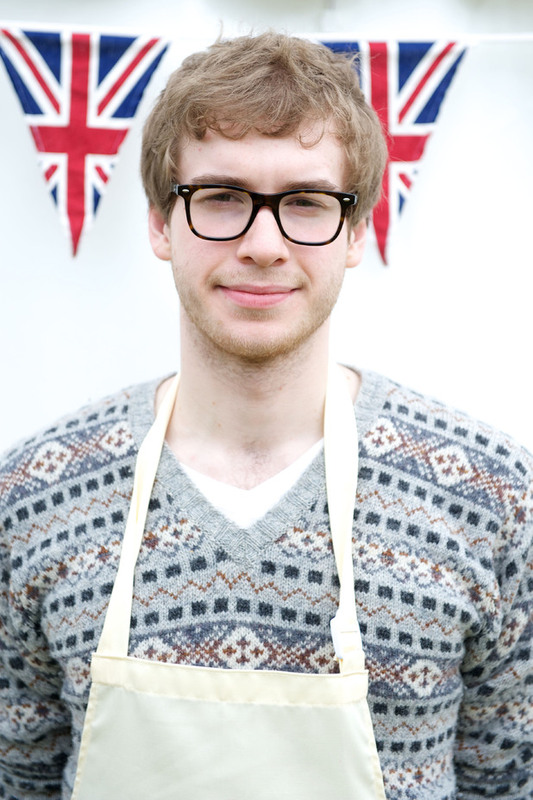 However, I do agree he should have made it to the final, but I am rather glad he didn't win. Overall, I think the reason why I was a teeny tiny bit disappointed with this years show, was just how difficult the show has gotten. It's given any hope of me being able to apply for the show to shoot right of the window. I also think that Paul and Mary, especially Paul, were a lot harsher this year. I'm not sure if that's because they were expecting higher from the contestants as the show is so well established now, or they were trying to be constructive. Perhaps a mixture of the two. I loved it when Cathryn has a few one liners to come back at Paul, when he may have taken his comments a touch to far. All the contestants really worked their buts off, and on several occasions were shown being so proud of their achievements, to then have Paul come round and crush them. Okay, yes John did have it coming when he mixed the salt and sugar around, but if Danny likes her tarts with a bit of Rum in, let it be! Mary liked it! 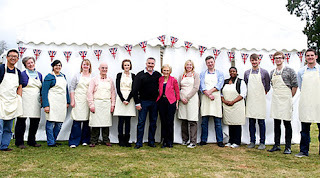 This series was filled to brim with challenging technical bakes and beautiful showstoppers, as well as some baking blunders - john's bleeding finger and Cathryn's dough on the floor incident to name but a few! 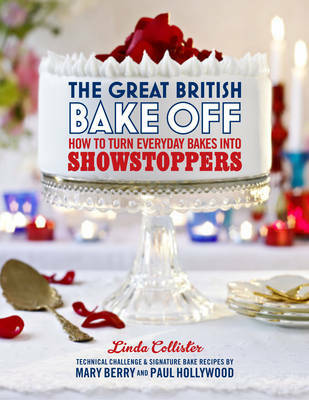 It hasn't stopped me from buying the book, 'Showstoppers', and probably wont stop me from buying the second, yes second, accompanying book, 'Learn to Bake'. 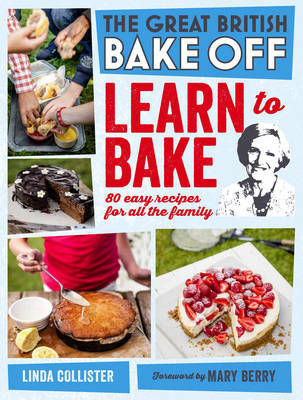 I'm a baking book-acholic if there is such a name! 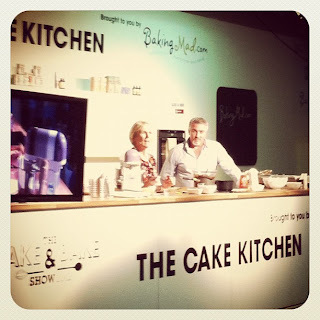 I was lucky enough to actually see Mary and Paul and the Cake and Bake Show this year and watching them in action has convinced me to buy all their books if I could because they are baking magicians! Anyway, back to the show! Every year I am tempted to try and make something from the show and this year I am keen to make a few! I would love to make a tarte tatin or a quiche. 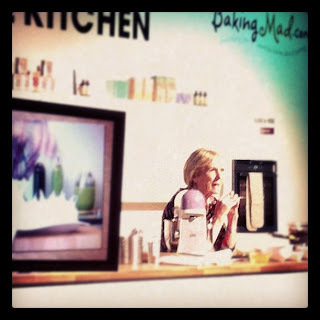 If I can get the silicone mold I would absolutely love to try to make tea cakes, and Mary's Queen of Puddings looked so scrumptious, I think I actually drooled watching that one being made, even more so when I watched Mary make it herself in the extra shows that are on this week! Although I don't have the kneading skills of Paul, I would love to try and make bread. This has been niggling at me for over a year now, and I know that it can be very simple but I just get too distracted in all the cakes and biscuits and I've been making. Maybe this can be a new years resolution... a year of bread?! Something to ponder. Okay, I think I've chewed your ear enough on what I thought of this years show, keep reading for my next baking adventure in my titchy cave of a kitchen!